Over the course of history, women have made tremendous strides in our culture. Centuries ago women were considered second class citizens without the right to vote, work or any of the freedoms that women enjoy today. Since the Equal Rights Amendment was passed in its current state in 1972, women have gained freedom at work, in the home and elsewhere. However, despite the freedoms that women have been granted, they still need to be concerned about the problem of violence against them. While women are equal citizens under the word of the law, the fact that women are generally smaller in size than men put them at a disadvantage. In today’s world women need to continually be on guard against violence from men. Violence can come in a number of ways, places and forms from men. Violence can occur in the home in the form of domestic violence as well as out during dates. In addition, assault and harassment can even take place in the workplace. While violence against women is a serious problem today, women do not have to become victims. By learning simple self-defense techniques, women may be able to protect themselves enough to at the minimum buy some time in order to get help or even fight off attackers to have them leave. Also, using practical common sense methods such as avoid being alone, never go out alone with strangers and never put themselves in potentially dangerous situations. We hope the following resources will help learn more about potential dangers and how to stay safe and secure. Please feel free to re-visit this page again as well as share it with others who may benefit from the information. And, the bottom line for all women is stay safe! Domestic Violence and Abuse–Web page which provides signals that someone may be a victim of domestic violence or abuse. Stop Domestic Violence–This helpful web page from the National Coalition Against Domestic Violence is helpful to possible victims by providing information. Domestic Violence–In this informative page from the Department of Justice you will find a wide array of information about violence against women. Medline Plus–Useful page which discusses the problem of assault or battery against a spouse or partner. Statistics and Facts–The problems of domestic violence are illustrated in this article which provides a look at the statistics and facts of violence against women. Dating Violence Statistics–Shocking look at the number of victims of dating violence from surveys about women dating. 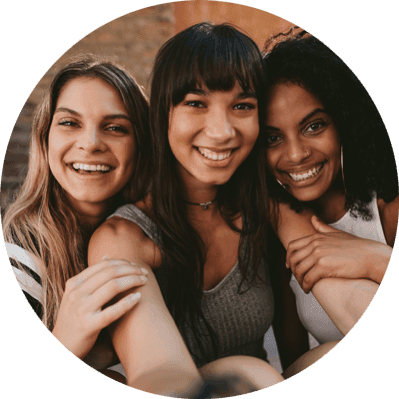 Teen Dating Violence–In this informative article from the Center for Disease Control you will learn about violence among teens while dating. Dating Violence–Helpful page from the State of Michigan which offers information about the issues pertaining to dating violence. Violence Against Women–This page from womenshealth.gov gives a look at the problem of violence against women and various types. Preventing Dating Violence–Useful article that gives information and advice on how to avoid being a dating violence victim. Violence Against Women–Information on the efforts to curb violence that occurs against women. Worldwide Violence–Helpful page from the World Health Organization which talks about the issues of woman’s violence around the world. Violence Against Women Information–This helpful article gives an overview of the problems of violence against women. Effects of Sexual Harassment–Article which looks at the effects of sexual harassment against women. What is Sexual Harassment?–Publication that explains what sexual harassment is and how it can occur in everyday life. RAD Self Defense–Article that provides information on a self-defense program that can be used by all women. Safety and Self Defense Tips–Useful article with tips and advice on safety for women. Eight Safe Defense Tips–Tips and awareness help for women to be safe and secure. Awareness Tips–This article provides several helpful self-defense awareness tips for women. Sexual Assault Prevention–University of Michigan article that talks about sexual assault and how to help prevent. Sexual Violence Prevention–Informative page which provides prevention tips along with warning signs. Stopping the Violence–Web page with advice and resources on preventing being a violence victim. Facts of Preventing Violence–Information on how violence against women and children can be prevented. Resources by State–Resourceful page which lists sites and information on violence against women. Hotlines and Resources–Web page which provides information on violence against women. Domestic Violence Against Women–Mayo Clinic article that provides an overview of the problems of domestic abuse. PBS Information–Article and information on domestic violence against women presented by the Public Broadcasting Service.